Dean’s seven months at the Dian Fossey Gorilla Fund International left him with new insights, experiences and friends, which include about 700 mountain gorillas. What is the Dian Fossey Project? I asked this question of Felix Ndagijimana, a Rwandan who serves as the deputy director at the Karisoke Research Center. I already know the answer, given the fact we are hiking through a rain forest. A wager is made that it won’t rain before we leave the forest. “How do you define rain?” Felix asks with a smile as a drop of water falls from the sky. Determined not to make it too easy, I reply, “If you have to put on a jacket to stay dry, it’s rain.” This playful game is repeated each time Felix and I enter the Volcanoes National Park, home to approximately 300 mountain gorillas in Rwanda. Read more from Dean's article published in the Fremont Tribune. Classroom by classroom, young school children walked single file across the grass-covered playground as they followed their teacher and schoolmaster to the door of a vacant room. Some wore shoes; others were shoeless with dirty bare feet, toughened by the cold wet environment in which they live. All had shaved heads. The only way to really distinguish who was whom was by the color of the school uniforms — tan for boys, blue for girls. Approximately two months before this early Thursday morning, I had been on a photo project at the Bisate village school for the Dian Fossey Gorilla Fund International. I was covering a piece of their education outreach. The school has 1,700 students, and there is no electricity or no running water — just committed teachers, students and parents. Jacobs recently returned home from spending 7 1⁄2 months based in Rwanda working for the Dian Fossey Gorilla Fund International, documenting various activities in words and photographs. Read more from the Fremont Tribune. Share in Dean's private tour of the Congo gorillas. The Dian Fossey Gorilla Fund International is dedicated to the conservation and protection of gorillas and their habitats in Africa. 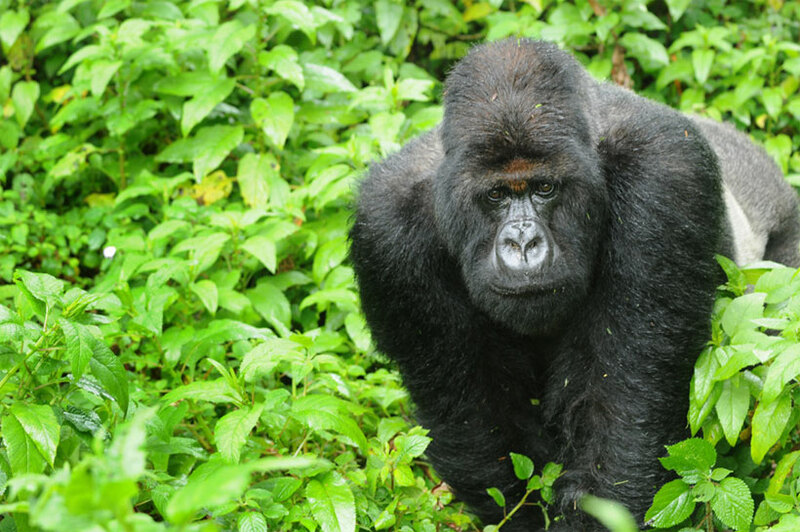 Read about this magical gorilla from Volcanos National Park in Rwanda. Titus is the main character of the very moving Nature documentary, "Gorilla King".